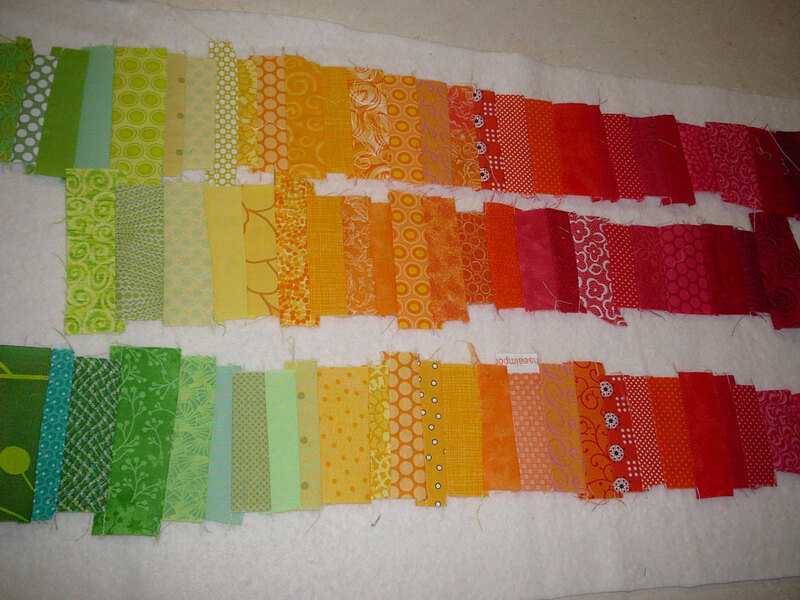 Patchy Work of Mini Grey: A Rainbow of Scraps. I have finished doing all the quilting on the green quilt featured in my last post. It looks awesome, I'm very happy with how it has turned out. 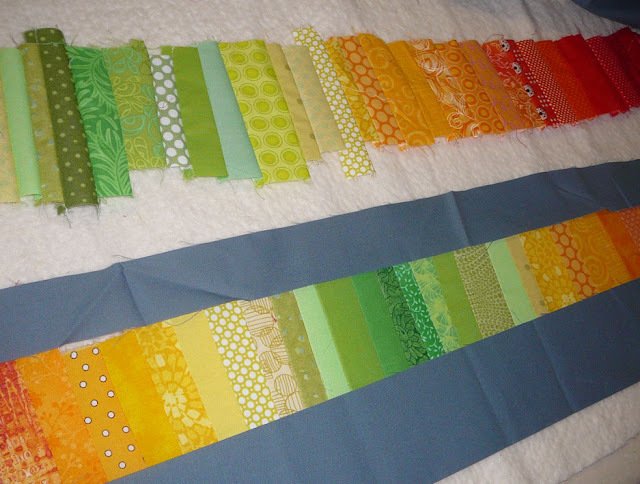 Of course I don't have the right shade of green for the binding so I have had to order some. So I'll wait till that arrives and finish that before sharing photos. In the meantime I have turned my attention to a quick and easy project. 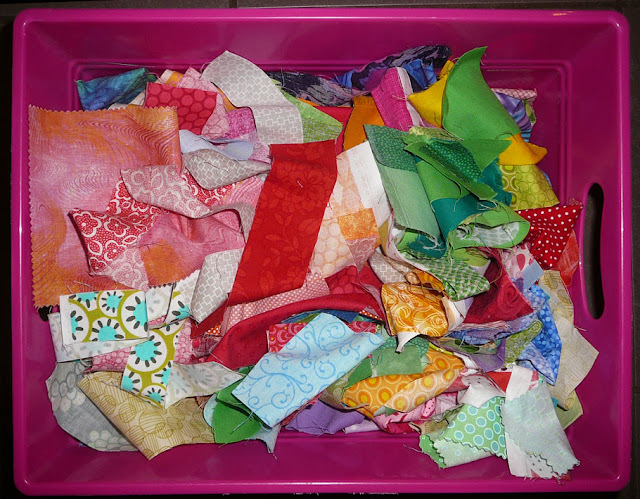 This is my box of scraps that sits under the table I sew at. 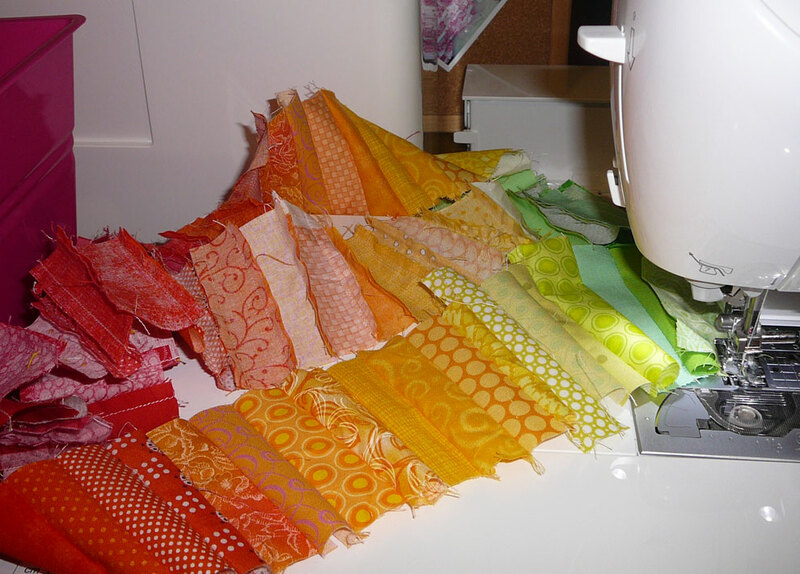 Snips of various fabrics. The pile has been growing so I thought I would make something only with the fabric in here. I cut strips about 3 inches long and an inch to an inch and a half wide, cut them just with scissors. And arranged them from dark red through to orange and yellow and then into green. I have done five lengths although only three are photographed here. I have an off-cut of wadding, perfect table runner size so I am sewing to fit the length of that. Scraps of fabri, srcaps of wadding. I did find though when I lay out these strips that I could go further down the rainbow, I had the room on the wadding. But instead of going green into blue and then purple, I thought I'd go back up the rainbow, yellow, orange and red. It fitted perfectly! So now I have trimmed it to about 2 inches wide and am sashing it with Slate Grey. This fabric wasn't in the scrap box. It is not a colour I normally use, actually it was left over from this quilt! Maybe I can still count it as a scrap as that was back in 2009! This is going to be so nice! Love the colors. It's beautiful! I love rainbow things. You have some awesome scraps. Love how the grey sets them off. 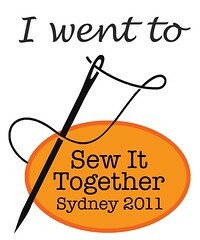 Spring 2013 Bloggers Quilt Festival. Last day of the School Holidays.